An Update From The Tapping Solution Foundation | Choose Your Energy: Change Your Life! I thought you might enjoy knowing the inspiring results of The Tapping Solution Foundation charitable fundraising aspects of Nick Ortner’s 2014 6th Annual Tapping World Summit. They started with a goal of $25,000 to support tapping relief endeavors across the globe and ended up raising $100,000. 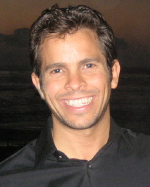 Nick Ortner is the NY Times best-selling author of The Tapping Solution and Executive Producer of the documentary film by the same name. Tapping is a simple, effective technique for reducing stress, anxiety and overwhelm in your life by releasing limiting beliefs, emotions and habits. How could anything so easy work so well? Because it’s based in science. It taps into the electrochemistry of how our minds and bodies are wired to shift us from the inside out—physically, mentally, emotionally and spiritually. Click here to learn more about Nick’s book, film and work in the world. Provide EFT certification training to mental health, healing arts and education professionals serving those traumatized by the Sandy Hook Elementary School tragedy. Provide EFT sessions to Newtowners who continue to be affected by the tragedy, including first responders, families who lost loved ones, student and staff survivors and their families, and many others. Partner with the Resiliency Center of Newtown providing training, support and private sessions to parents and children. Educator trauma relief and classroom training for teachers. Provide on-going mentoring and clinical support for certified EFT practitioners and educators. Support and expand our current programs in CT, CA, NY and HI including educator stipends, mentoring, and documentation of the effectiveness of EFT in the classroom. This year we provided mentoring and training via Skype and teleconference for EFT practitioners responding on the ground to tragedies in Boston, Oklahoma, The Philippines and others. We plan on expanding our readiness and effectiveness by developing formally documented training including audio/video/written support materials. Establish Project LIGHT: Uganda by responding to an extraordinary invitation to work with former child soldiers in Uganda partnering with Jane Ekayu from the Children of Peace organization. Establish Project LIGHT: Hawaii for at-risk youth by providing a one month training program for community stakeholders and 12 at-risk youngsters, including video documentation. Bring our train-the-trainer trauma healing model to the Amala Foundation’s International Youth Healing Conference bringing traumatized youth from around the world to Kenya in December 2014, including our Project LIGHT Ambassadors. Outreach to colleges and universities to include EFT certification training for educators, mental health and medical professionals. Conduct EFT Research with students, prisoners, veterans and pain relief clients. This entry was posted in All My Blog Posts, Tapping and EFT and tagged Deborah Jane Wells, How EFT works, How tapping works, How to tap, How to use EFT, What are emotional freedom techniques, What is EFT, What is tapping. Bookmark the permalink.